My mom bought Madeline last year's version of this tab dress. It is from Shrimp and Grits Kids and I love that she can wear it for all holidays. 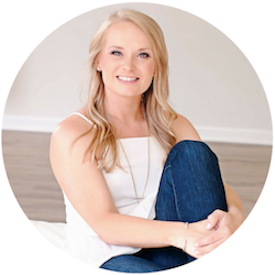 I host a trunk show for this company twice a year along with another local mom and blogger (you can shop our show using code 70024). 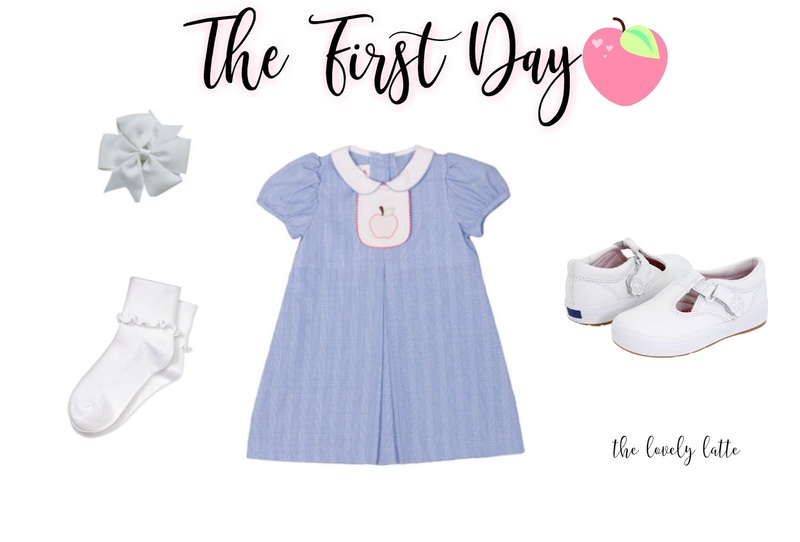 We have all the tabs and Madeline will be wearing it with the apple tab on her first day. I searched high and low for the perfect pair of ruffle socks and she is obsessed with her new shoes. We purchased two pairs - one for school and one for other occasions because you know no one likes dirty Keds! I purchase her basic bows in bulk - they average out to about twenty-five cents each and this pinwheel size is perfect for her. Here are a few other favorite clothing items for the pre-schooler this year. I just ordered that sweater dress on major sale last night and Madeline is already so in love with her new knee socks. The cow ones are her favorite! Madeline will eat lunch with her little friends at school. 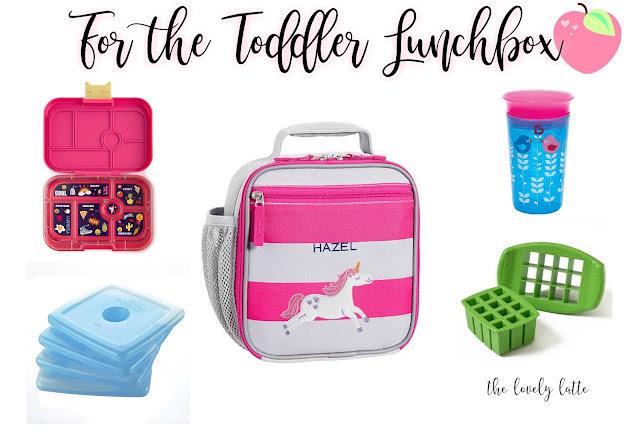 I chose this lunch box and we have been using it for picnics and other lunches on the go for months and it is just perfect for the young toddler. I'll share some of my favorite lunches soon. We were gifted a cute monogrammed thirty-one lunch box but I also love these and they can be personalized, too. These are my favorite ice packs to keep her lunch cool and I just ordered this sandwich cutter to make tiny toddler-sized sandwiches in a snap. These are her favorite cups right now and are dentist-approved. We are so excited for this new experience for her and I can't wait to see all that she learns about friendship this year. 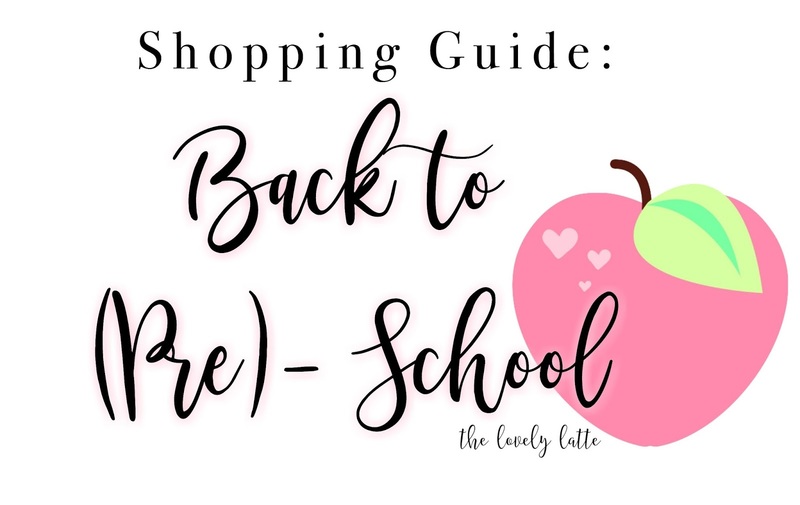 Mamas, tell me - what are your back to school necessities? Aww, Madeline is going to LOVE preschool!!!! So exciting! 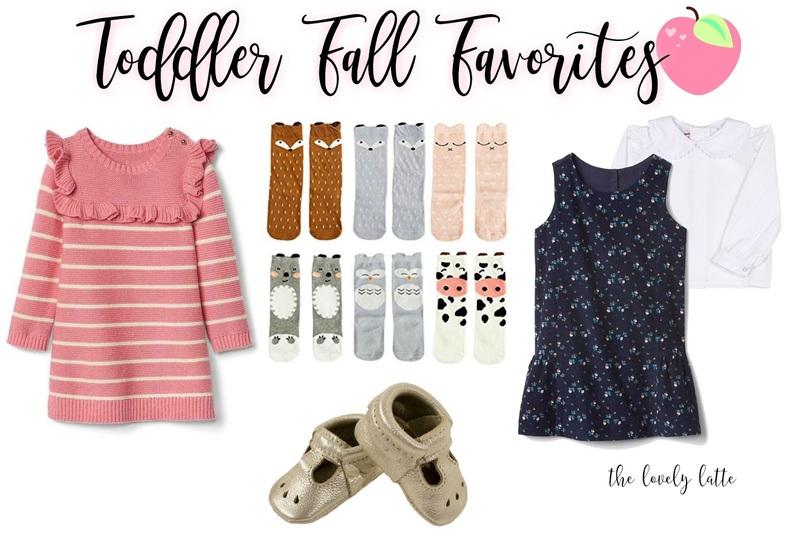 I'm obsessed with those cute animal socks! !